A pending court decision on whether to uphold a ban on GM corn will be crucial in determining the corporation’s fate in Mexico. Monsanto wants to double its sales in Mexico over the next five years, but the agribusiness giant’s hopes may be dashed if the country decides to uphold a ban on genetically modified corn crops. Monsanto’s announcement on Tuesday of its goals to increase business in Mexico by 2020 come as Mexican courts consider whether to allow GM corn in the country’s agricultural sector. 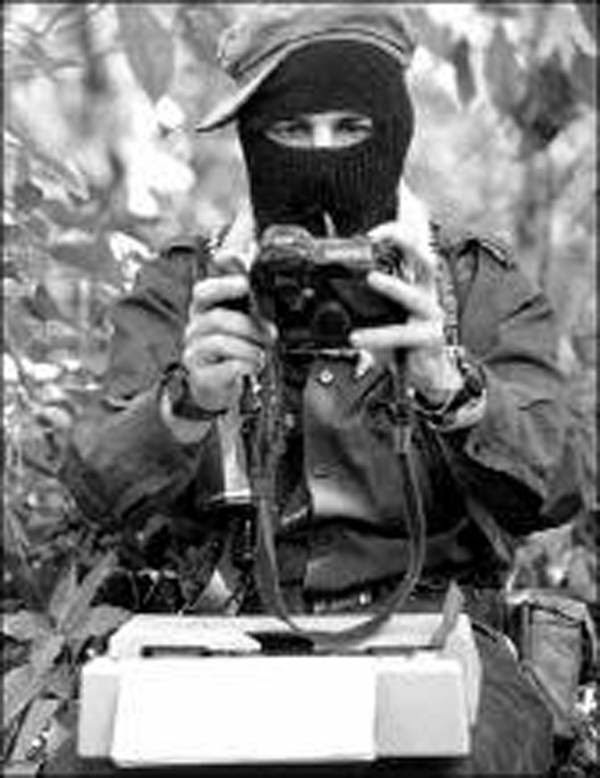 Meanwhile, ecological, Indigenous, and farmers’ movements are pushing for a ban, continuing a longstanding resistance against genetically modified organisms and in defence of biodiversity in Mexico. Although Mexico prohibited Monsanto and other biotechnology corporations from planting GM corn in the country in 2013, a Mexican court overturned the ban in August, opening the door for a possible surge in Monsanto’s business. But with a final ruling still pending while appeals are heard, strong public opposition to GMOs could still push for a decision to uphold the ban. Mexican courts could soon release their decision, according to Reuters. Mexico is considered the birthplace of domesticated maize, with the first crops planted more than 8,000 years ago by ancient Mayan and Olmec civilizations. 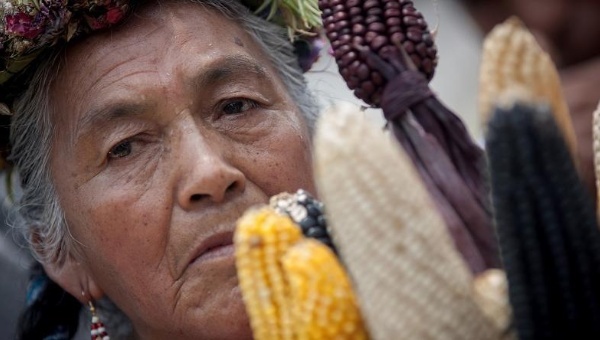 There are dozens of maize varieties native to Mexico, whose protection from GMO takeover is considered critical to cultural, seed, and food sovereignty, according to land and environmental defenders. Anti-GMO campaigns have also raised concerns about the impact of Monsanto’s products on human health. Earlier this year, the World Health Organization ruled that Monsanto’s Roundup weed killer, glyphosate “probably” causes cancer. The majority of Monsanto’s profits in Mexico, 70 percent, come from genetically engineered corn, which the company claims will increase local farmers’ yields. Opponents, however, argue that traditional agroecological farming methods and native seeds can boost small farmers’ harvests and protect biodiversity. In fiscal year 2015, Monsanto reported $US400 million in sales in Mexico of a total $US15 billion global sales. 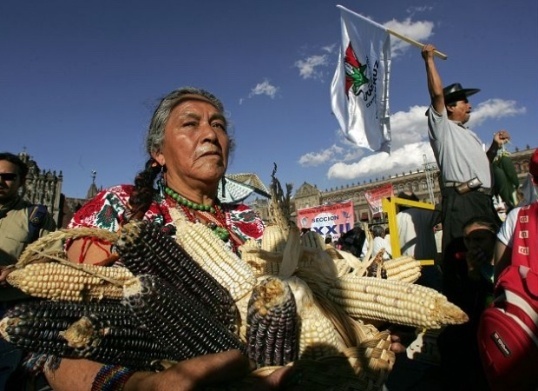 The movement against GMOs in Mexico is part of a larger mobilization of social organizations and researchers across Latin America that have also spoken out against Monsanto products in pursuit of wider ban of the biotechnology company in the region.